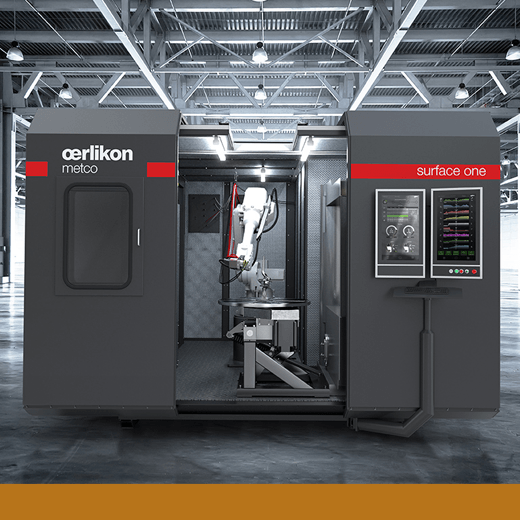 The Surface One is the first thermal spray-coating machine designed to enhance the properties of surfaces to, for example, improve heat and corrosion resistance. Compared to conventional systems, Surface One combines all necessary components in one standardized compact design. This significantly speeds up configuration and installation and ensures reliable and repeatable coatings. The machine fits into a shipping container and requires 20 percent less floor space.